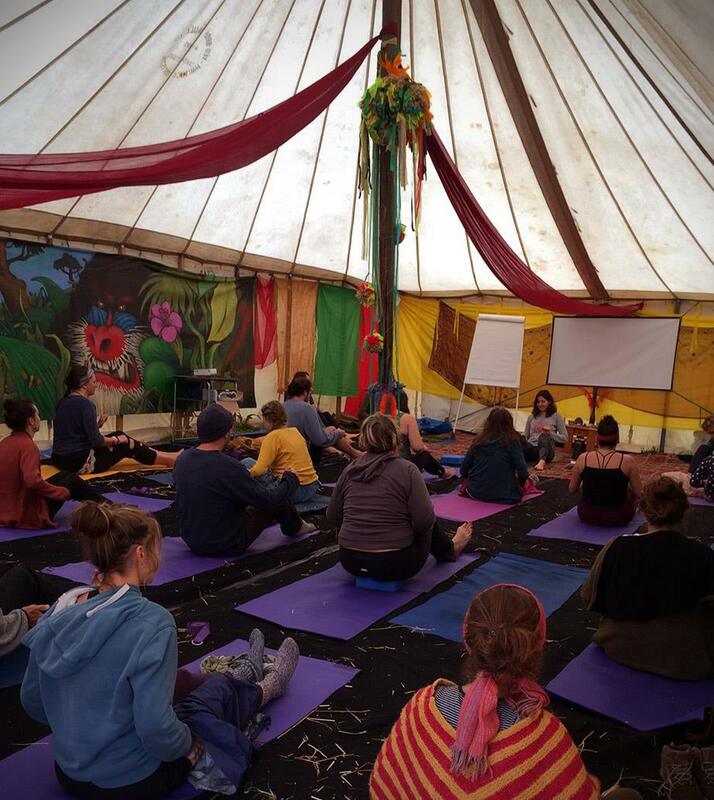 We filled the entire space, and although conditions for that very reason weren't perfect (some of you found someone's foot in their face 🙂), it was a heartfelt experience to share chants, kriyas, pranayamas and hatha-yoga in this lovely tent in the Serenity field. You thrived in your yoga practice and got mindfully ready for the whole day ahead. With the wonderful closing ceremony on Sunday we proved that "Another World is Possible". Many of you expressed interest in our mindfulness video blog. This will be available from September. In the meantime have a look and explore our Yoga Techniques & Exercises video series on our vlog.